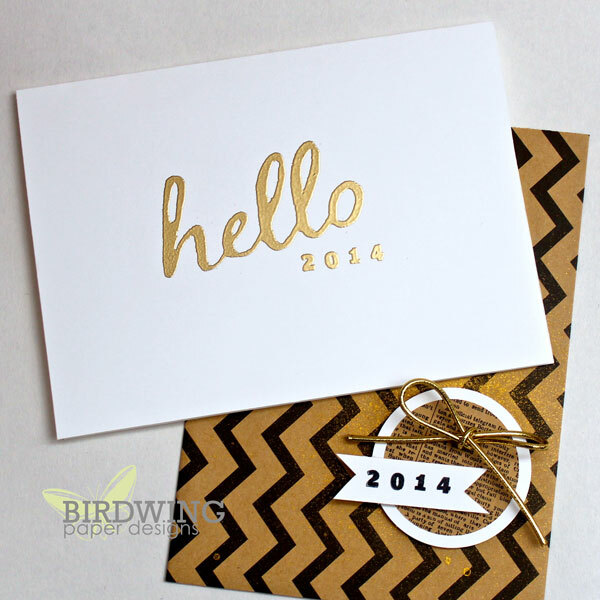 For many people, the ringing in of the new year brings thoughts of new goals for the year and the hope that these goals will lead you to become a better, happier, healthier person. I am not one to make a long list of resolutions that I will never stick to and I dread thinking of yearly goals because I worry about not achieving them. Last week I came across a blog post from Ali Edwards about her inspiring concept called One Little Word. Just a single word to make the focus of your life for the year. You live it, reflect upon it, and let it guide you through your daily life. A few examples of these one little words are: thrive, brave, light, open, me, renew, moment, fearless, action, finish, and gratitude. I knew right away that this was the perfect fit for me for the new year. Hello. An expression of greeting or welcoming. This year I will be welcoming new friends into my life and reconnecting with old friends. I will make visiting family near and far a priority. I will welcome opportunity and creativity into my design life, and patience and adventure into my family life. I will say “Hello” to living a life filled with joy. This is something that can be done everyday and to remind me of this one little word, I decided to make an inspiration board. 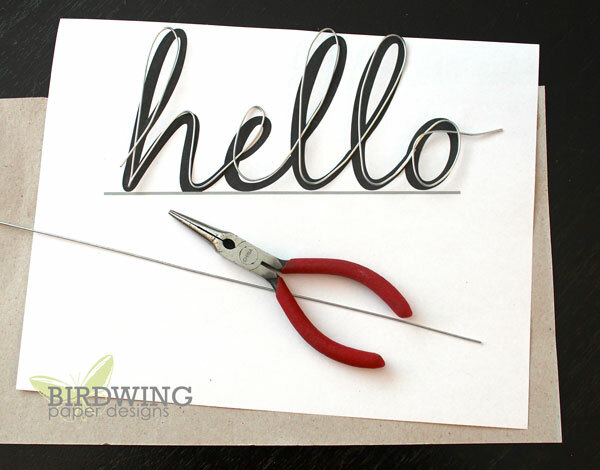 I started by using the same “hello” template for the card shown previously and increasing the size of the word to print the width of a piece of paper. 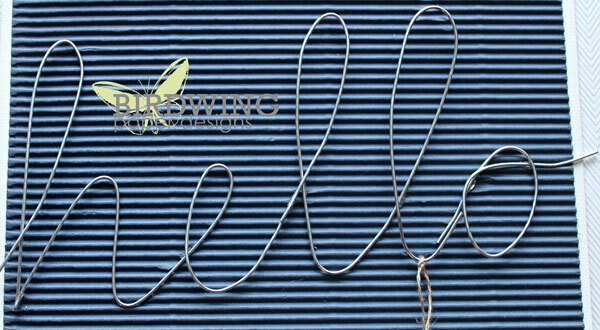 I used the printed word as a pattern to shape thick silver floral wire to create a wire “hello”. 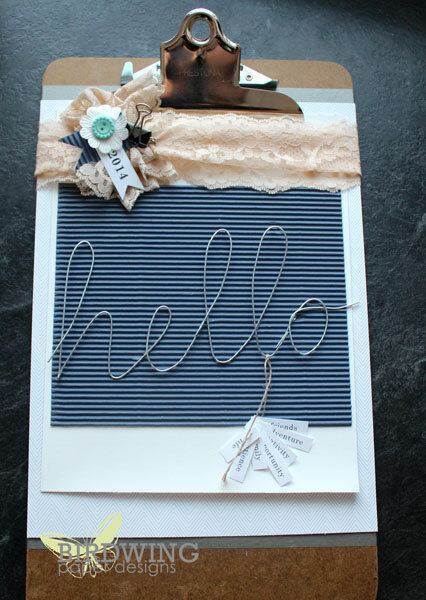 I loved the shadows the wire made on the crimped paper so I used some glue dots to adhere the word to the paper. 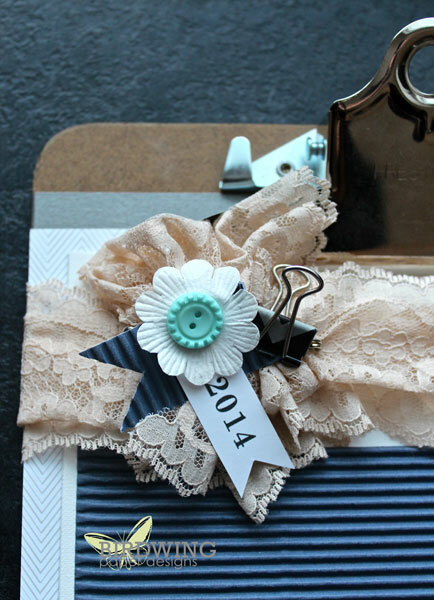 Then it was just a matter of making it look pretty using whatever I had on hand: an old clipboard, leftover piece of lace, washi tape, and some embellishments from Stampin’ Up. 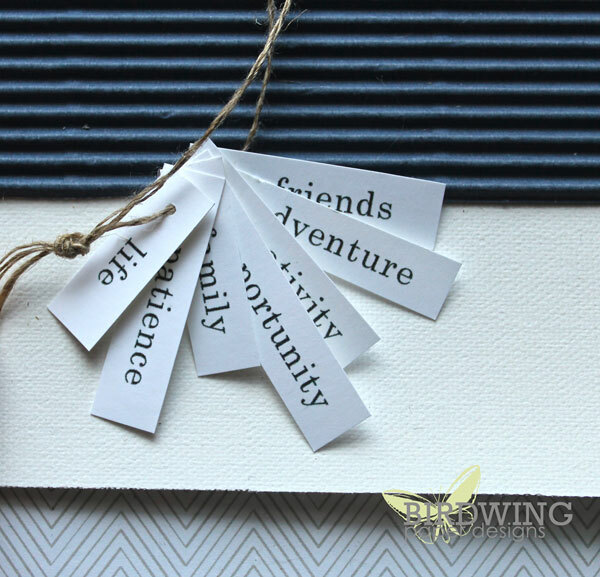 To finish it off, I printed off some of the inspiring words that I will say hello to in 2014 (friends, family, opportunity, creativity, patience, adventure, and life) and attached them to the wire word with linen thread. 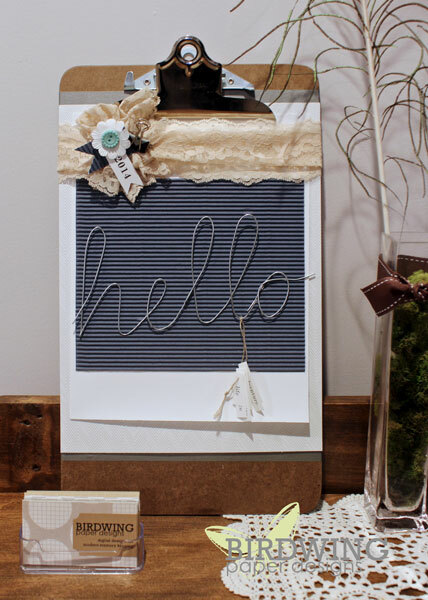 This clipboard sits on the dresser in my office and is a visual reminder of that one little word: hello. If you had to choose one word to be the focus of your year, what would it be?